If someone were to ask even just thirty years ago if the virtual world would exist, the answer would likely have been a strong no. The birth of the internet gave rise to the birth of the virtual world. Today, we spend hundreds of hours in front of our computers or phones either using social media to connect to random strangers from the other side of the world or to play virtual games with our friends on a daily basis. Now, that same evolution is also happening at the infrastructure level. 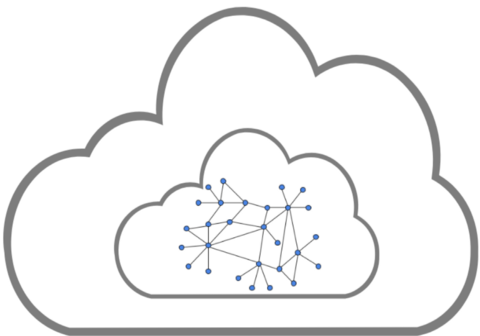 For instance, does it make sense to have a virtual machine that is very similar to a physical machine and behaves the exact same way as the physical machine but is also cost effective and secure at the same time? The idea of virtual machines is not something new. It has been around for a long time. In layman terms, a virtual machine is an emulation of a computer system that provides functionality of a physical computer. How about if we were to take this one step further — apply the same logic to our internet as well? Could we create a “virtual” internet that lives on top of the existing internet but with more security? Let’s apply this to the blockchain world as well. What if we could have a blockchain that sits on top of another blockchain where the energy used to run the base level blockchain is also used to run the blockchain that sits on top of it? Elastos is revolutionizing the way we interact with our already existing virtual world — the internet, the device and the blockchain. What is so ingenious about this approach is that it doesn’t matter what the underlying architecture is because Elastos is taking a completely agnostic approach to its virtual machine, to its new internet and to its blockchain layer. By eliminating the need to rely on a specific underlying layer, Elastos literally aims to be the last operating system there will ever be. The Elastos blockchain is merge mined with the Bitcoin blockchain, which means that the hashpower of the Bitcoin blockchain network is shared with the Elastos blockchain network without using any additional energy. This goes even further. 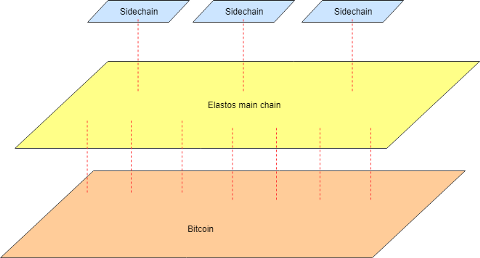 Elastos also employs sidechain structure where even these sidechains may use the Bitcoin hashpower to secure their own network. A hierarchy of trust is established from Bitcoin to Elastos to the sidechains — which can be thought of as independent blockchains of their own. One of the sidechains of Elastos is an ID sidechain that issues IDs to users, devices, applications, etc. These IDs can be thought of as universal IDs to the entire internet so it makes sense to merge mine ID sidechain with Elastos that in turn is merged mined with Bitcoin so this simple ID sidechain is now secured using the existing hashpower of the Bitcoin network. The Elastos Runtime is a lightweight C++ virtual machine where the applications are run. This virtual machine is completely sandboxed and is independent of the underlying operating system. This virtual machine can run on top of Android, iOS, Windows, Mac, etc. And these underlying OS’s such as Android and iOS themselves live on top of the physical device. This means that the Elastos Runtime is completely agnostic of the underlying operating system and can run on top of anything. This approach eliminates the need to choose what phone you want or what computer you want to run your applications. Because the Elastos Runtime lives completely isolated, the digital assets and data are protected within this environment. In addition, this Runtime also completely prevents applications from directly accessing the internet which means this has the possibility to eliminate many man in the middle attacks, virus attacks, etc. The only way for applications to access data on the internet is to request for data from the Elastos Carrier network and the Carrier fetches the data back to the application. The Elastos Carrier is a decentralized peer to peer network which takes over all the network traffic from all the applications on the Elastos ecosystem. The Carrier sits on top of the existing internet but addresses its many problems and vulnerabilities directly. What does this actually mean? This means no more censorship, no more privacy leaks and most importantly, everyone has the chance to literally own all of their data. So, in a way, you can think of Elastos Carrier as an internet on top of the internet — going virtual. Almost 99% of the operating systems today are considered to be device operating systems (OS) because the operating system lives on the device and this operating system only has control for one device and one device only. For example, Bob has a phone that has an iOS operating system. Alice has a phone that has an Android operating system. Well, Bob’s phone cannot really operate Alice’s phone, so no matter how secure Bob’s phone is, this cannot be transferred to Alice’s phone because these operating systems are specific to each device and they only operate within their own device. 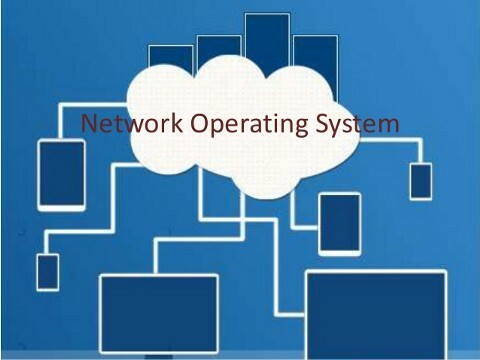 What is a network operating system? While a device OS is confined to one device, a network OS is confined to the entire network. In other words, a network operating system has authority over the entire network so it can secure the entire network. This means the network is the computer instead of the device being the computer. Let’s look at the example from above with Bob and Alice. The device OS such an Android and iOS will still be there, but in addition, if their applications are run within a runtime environment that is then connected to some network, all the network traffic is taken over by this network OS, thereby enabling this OS to operate the entire network no matter what devices people might have. Elastos is not a typical operating system. Usually, when you think about operating systems, you think about a device operating system that is tied to a particular device. Elastos is not a device OS but rather it’s a network OS. This means the network is the computer instead of device being the computer. This also means that this operating system will never need to be upgraded because the network has no version. It’s just the network. The internet has no version. It’s just the internet. The internet gets upgraded by adding services on top of it and people using those services. Similarly, the Elastos network OS gets upgraded when someone adds a new service and people start using this service. There is no human intervention required as everything is code and everything is autonomous and self running. The Elastos network operating system is literally a world supercomputer formed of millions and millions of virtual machines spread across the internet where your data might be stored in your own personal drive or IPFS (which is distributed across the internet). In that sense, every device on the internet will be able to recognize Elastos because the internet itself is the device. Elastos is not a blockchain project but rather a network operating system project powered by blockchain technology so in that sense, Elastos is not directly competing with any other blockchain projects. It can work together with them to form this new ecosystem where the decentralized applications run directly on the device instead of running on the blockchain along with decentralized peer to peer network to transfer assets in a completely closed sandboxed environment, thereby solving the trilemma of blockchain projects — security, scalability, and decentralization.